The red light is for discipline when a little timeout is needed. Simply set the timeout duration and click the red button to activate. The timeout duration should be age-appropriate. The rule of thumb in Mommy Circles is one minute per year. For example, a 2-year old should receive a 2-minute timeout, 3 minutes for a 3-year old, etc. 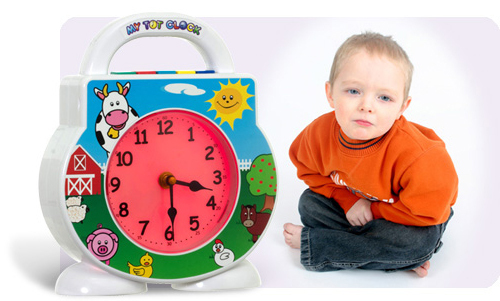 My Tot Clock will automatically beep and turn to yellow when time is up!